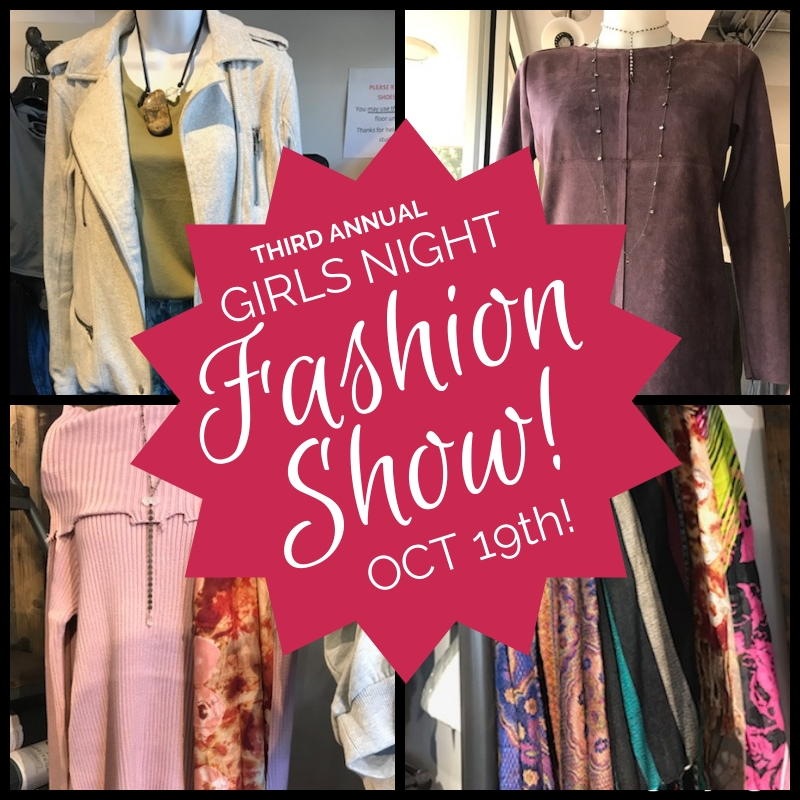 We’re planning a fun night for all you ladies who would like to come see a fashion show featuring our beautiful, new fall clothing modeled by our very own staff and instructors. We’ll serve up some wine and snacks while our models show you how different outfits can go from “downdog to datenight” with quick, easy adornments and adjustments. After the show, you can try different outfit combinations with the help of Robin and our fashion show models. You’ll get a $15 gift card for every $100 you spend that night. Gift cards may be used for future purchases and upcoming holiday shopping! We hope you’ll join us for this third annual evening of food, fashion, friendship & fun!